I am eager to get rid of January. 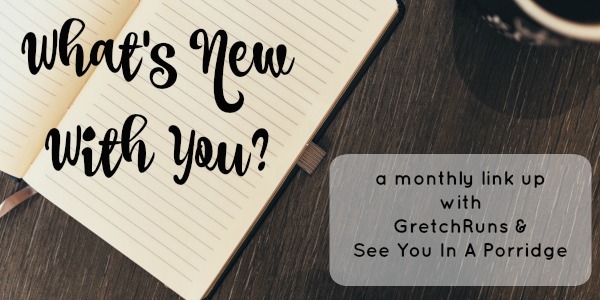 It was a crappy month and I like the clean slate a new month brings, even if things don't necessarily change, I feel like they do. Plus, February is birthday month! Got a few things planned. But for now, thought I'd join in on Lauren & Bre's link up with things I've been loving lately and want to recommend. The Vicar of Dibley - my mother in law loves this show, and as we are currently living with her, I kept walking by and seeing snippets or sitting down and watching a few minutes with her. It never really seemed like my kind of show but eventually I started it from the beginning by myself and some episodes were eh and others had me laughing so hard I was crying. One episode had me crying so hard not from laughter. But overall, lots of laughter. Even though it went from 1994-2007, it only has 5 seasons with a couple of them only having 2 or 4 episodes. So it's not a huge undertaking. It's definitely an acquired taste, but I really enjoyed it. It's a pretty silly show. Bonus: It has Richard Armitage in it. 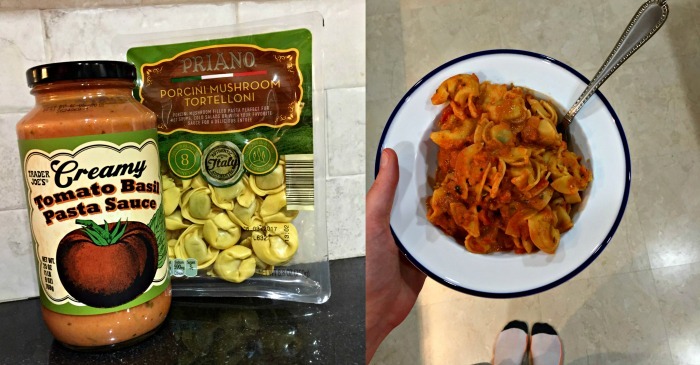 Aldi tortelloni & trader joes pasta sauce - look, we all have super lazy meals, right? At least mine isn't McDonalds... anymore. I used to shop at Aldi all the time back home, but I only just tried the US version and I discovered this tortelloni (I kept calling it tortellini, but apparently there's a difference). It's only $1.50, 1 package of that and half a jar of TJ's pasta sauce ($2.99) and I have dinner (for me only) in 10 minutes for $3. Sometimes if I'm feeling wild, I sprinkle parmesan cheese on top. No, it's probably not the healthiest option, but it's quick, cheap & easy. They have a cheese one if you don't dig mushrooms. Playstation Vue - I did a post on Sling TV and literally the next day we tried out Playstation Vue and cancelled Sling. Sorry Sling. It's basically the same thing, an internet based TV service that's oodles cheaper than cable. It's more expensive than Sling ($35 a month vs $20) but it's way better - you can DVR (for 28 days), the quality is a million times better, it never cuts out, there are more channels and SUBTITLES. I'm sure there are other benefits, but those are the most important to us. You don't need a playstation to get it, but you do need a smart TV or roku/amazon fire stick thingy etc. We just use the playstation we have, and keep the fire stick thingy with our spare TV (that is not being used right now because we are in one big room). We have the core slim. Prices vary depending on location, so for $35 it's still like $100 cheaper than cable for us, but in some areas it might be more expensive ($50+) and your cable might be cheaper. Loving yourself - I'm not quiet about the fact that everyone should love themselves. Life is too short to spend it with someone you don't even like. I could go on and on about it, but I saw this the other day and immediately took a screenshot. If I could wave a magic wand and make everyone accept and love themselves, I would. So yes, I recommend loving yourself. It's the best thing I ever did for myself. Books! I'll talk more about them in SUYB, but I've read a few good books since the last link up. Two I absolutely adored, gobbled up and wanted to live in the world and never leave. One of them is an acquired taste (fantasy romance) and the other is below - The Hating Game. I highly recommend if you like romantic comedies. It was super cute and adorable and funny and I loved it. 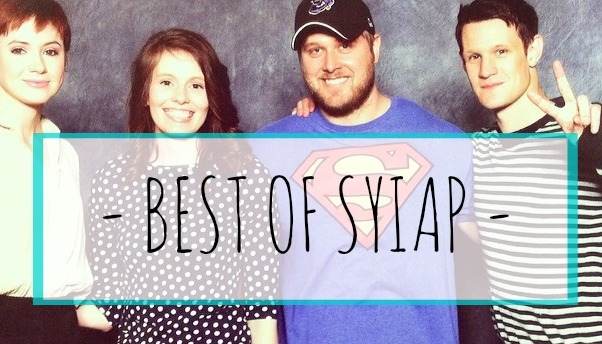 I can't remember who originally recommended it whether it was SUYB or another post, thank you for sharing! 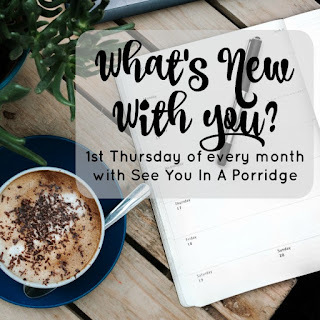 Also, just a quick note to remind anyone who wants to link up with us - this Thursday the 2nd is the next What's New With You link up. Am I the only one who does the crazy lazy dinners? Surely not... right? If you do, what's your favourite? One of the other book challengers read The Hating Game. Maybe you saw it there? Aw I'm sorry you had a bad month, I hope February is much for you. The PlayStation vue thing sounds really awesome! I don't watch a lot of cable tv, just wrestling. I have Hulu and I watch my tv shows on there the next day after they air. I've been working on loving myself and being happy with myself a lot lately, I've been a lot happier and less stressed out! Yay! LOVING YOURSELF - 100% support. Hard to do at times but so needed. It's what I try to teach Kayla every day though little chats and lessons. Sorry you had a bad month; hope everything gets much better very soon and that the rest of the year is amazing for you. I really enjoyed The Hating Game too! Maybe I recommended it, I can't remember! Glad you liked it... Cute couple eh?? Looking forward to your link up on Thurs and SUYB soon! Happy birthday month!! Yay! I'm also all about lazy dinners. For the most part I'll make something on Sunday and eat it for most of the week, then make pasta or something simple for the rest. BTW- I just finished Today Will Be Different and the ending was AWFUL!! Love that Viola Davis quote! We are getting an Aldi & a Lidl soon, I'm looking forward to trying them out! We've tried all the different streaming TV services at our house... Sling, Playstation Vue, and the DirecTV one. Sling was the worst. Playstation Vue was great until we forgot to update our credit card on it and our subscription expired right at the end of football season so we didn't renew right away. But... then bowl season came around and we signed up with the DirecTV App. Gotta say, that one might be my favorite. You should check it out if they have a free week or something option. We love it! I've been thinking really seriously about getting rid of my cable. But it's such a struggle because I LOVE TV!! But I do have a smart tv now so I think the playstation thing would work well for me. Then again I'd still need internet so it might end up being the same depending on how much internet is by itself rather than bundled together with a cable package. Ok now I'm rambling. I'm still sorry January was so awful, but I'm with you on new month, fresh start idea! And yay for it being your birthday month, birthday month is always the best! I should go back to Aldi, but I am addicted to grocery delivery. I honestly cant believe I've never been to Aldi. I always love your book recommends. I'm off to hunt that one up. I love those tortellonis, I get them all the time. Viola Davis is amazing, she's one of my favorite actresses. I hope that February is much better for you! Super healthy or not that dinner idea looks amazing. That book sounds awesome! Adding it to my list. We love Playstation Vue! Also, pasta is my go to food! Yummmm. I'm gonna have to make that pasta stuff! That looks delicious! You have yet to fail me with TV recommendations, so I might have to check that one out. I love Aldi, but for some reason I haven't been shopping there in months. I will have to get back in the habit since I was saving so much money!! I just finished The Hating Game yesterday and it really was cute and now that I'm done with it I kind of miss the characters and wish I had more to read! Sometimes I think I take stories too seriously and then get annoyed by little things, but I definitely laughed out loud a few times! 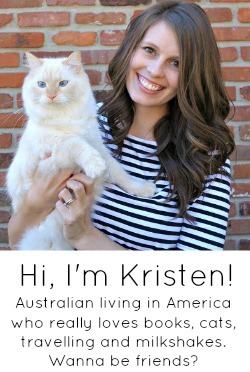 My husband has been going on about Vue, but I'm hesitant because I'm not sure our internet is good enough and am worried it would cut out too often or something, but your review is making me more convinced! And hooray for the almost end of January and for your birthday month being around the corner! The ravs and sauce look so yummy! We actually call those ravs here in a very small part of Illinois. Short for ravioli which they actually aren't, ravs are the square ones, the button ones like you've got there are tortellini. Just to confuse things a little more! This reminds me that I need to make another trip to Trader Joes soon! I love their frozen gnocchi that they have for like $3.99 a bag. Um yes please! Playstation Vue is seriously the best, isn't it?? We did Sling before that as well. And heck yes to loving yourself! I am always my own work in progress. Adding The Hating Games to my list! Amen to loving yourself. I love that quote from Viola Davis. She is one fierce lady. I can't say I'm 100% there yet but I'm getting much better. We sadly do not have Aldi's in LA but I want one!! And Hell yes I make easy dinners like that! I didn't realize you could have Playstation Vue without a playstation. I need to look into it. I'm finally no longer in contract and I'm trying to figure out what to do next. They already jacked up my prices ... bastards! Maybe we need to think about moving to Sling or another cord cutting service. We spend so much money on cable, and don't even utilize all of it! My sister might not be too happy with us though because she totally mooches off of us since she cut the cord a few years ago! We're going to cancel DirecTV when Ryan leaves next week, and I can't wait to cut that proverbial cord. We have Netflix, as well as Hulu, and we have the Fire Stick, so we really have everything we need. I can't wait! We've been using Sling for a couple of months and it's been good but we don't watch enough tv to justify paying more in addition to Netflix, Hulu, and Amazon. So we might cancel it one of these days! Trader Joe's is the best, they have the tastiest meal options. Richard Armitage - swoon. 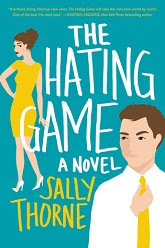 The Hating Game is on my reading list! I think I saw it recommended in a magazine or something, and it seemed cute. I'm glad to know that you liked it! 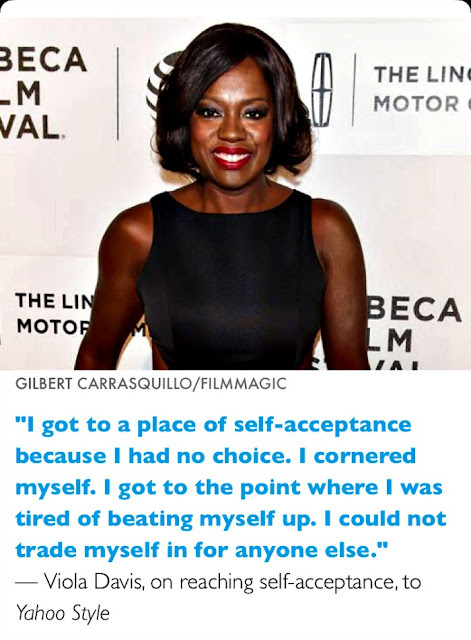 I love that statement from Viola Davis ... you know I'm still a work in progress in that area. I'll just call it filled pasta... I found some gf stuff in the supermarket the other day and got really excited, but put it in hot water for about 30 seconds and it completely fell apart and went super gummy. Disappointing. I'll take your loving yourself and build on it - live for yourself! I've wasted a lot of time/money/effort doing things because other people wanted me to. No more! The only person who needs to be happy with how I'm living my life is me, because nobody else has to live it! I'm all about salads and snack plates, but I'll also enjoy quick pasta. I'm with you, a new month feels like a fresh start and I love it. Hmm, I wonder what the difference is between tortellini and tortelloni? Must research! lol. I LOVE Aldi... definitely my favorite store to shop and I do 90% of our grocery shopping there. I LOVED The Hating Game - so, so funny. Loved the nickname she gave their male boss. HAHA! I LOOOOVE easy dinners and I like that pasta sauce a lot! And I always always appreciate your messages about loving yourself since you're kind of stuck with you. Keep it coming. Thanks for linking up! I also love simple dinners and I miss dinners like the one you mentioned. I need to find some gluten free, non-ridiculously expensive substitutes. I am not a huge pasta person but I do love a good pasta stuffed with anything pretty much. I need to go back to Aldi, they do have the best prices but they never have enough people working at mine and the lines are always crazy long!I also need to ditch cable just can't figure out how! If I had to cook for myself it would be a peanut butter sandwich. And that's all. So I say go you girlfriend! I've heard of The Vicar of Dibly. I'm really curious now. I tend to like british humor, so it may be a good fit. I really want to read The Hating Game. So many people raved about it, so I'm glad to see that you enjoyed it as well. I'm with you on loving yourself! It can be difficult, but you are who you are so love yourself. I haven't been to Aldi in forever and a day but for tortellini that's $1.50?!! I'm going tomorrow! That Viola Davis quote is EVERYTHING. I'm sorry January sucked. Cheers to a fresh new month. I hope that next month is better! 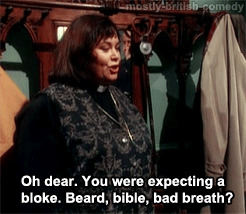 The Vicar of Dibley sounds like an interesting show, I might have to check it out for the funny episodes ha ha. I absolutely love Viola Davis and that quote! Thanks for sharing that! I also am going to have to check out The Hating Game! Richard Armitage? Well now I'll have to watch! British shows are the best and they know exactly how many to give you. My mom has been watching the BBC on PBS since like...the 90s lol. Just put The Hating Game on request at the library - the first two books I read this year were MEH, which was a bummer, 'cause I'm trying to get back to loving reading, so hoping this one will do the trick. No clue there was a difference between tortellini and tortelloni. Even Google doesn't think there is & keeps trying to correct my spelling to toetellini. I've actually never tried those from Aldi, but they look like delicious mini ravioli of sorts. And definitely a perfect lazy dinner. Pasta is one of my favorite lazy dinners, but so is tacos. I take pretty much everything I can find, throw it in a skillet and then stuff it all in tortillas + top with sriracha. It's never turned out bad. Ooh totally checking out The Hating Game! I look forward to hearing about how much better February is than January for you! And I love Aldi and their crazy cheap prices. They have had more and more delicious healthy food options in the past year. I'll have to try out that pasta! My lazy dinner is takeout pizza or carrots and hummus, so you're doing great ;) and tortellini is just small tortelloni! *Praise hands emoji* to the point about loving yourself! I haven't heard from you lately so stopping by made me so happy!!! It was good to get caught up. 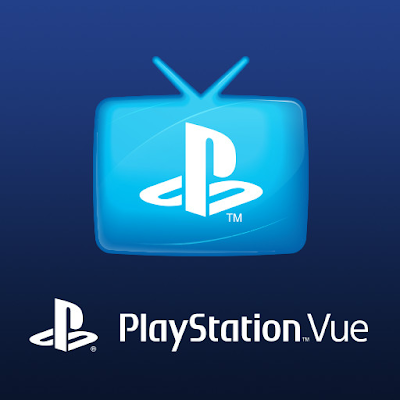 I hadn't heard of Playstation Vue, but it sounds like an awesome option!! That tortelloni looks awesome! I've been eating all the unhealthy things and have been feeling really crappy lately because of it. February is my month to get back into working out and eating better. And yes to loving yourself!! That pasta dish looks AMAZING. I also love the Viola quote. Loving yourself is so so important! I LOVE Trader Joe's pasta sauce! It's definitely my favorite.